Sleek, durable and precise. Its a real steal! 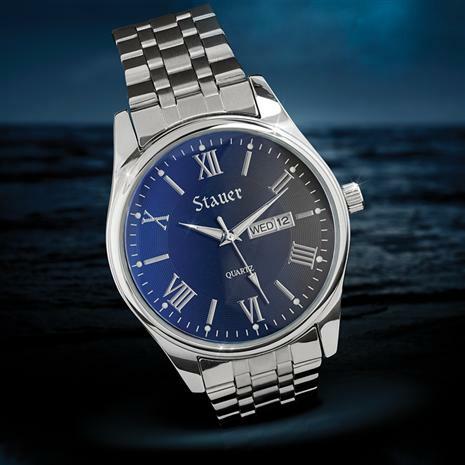 The Midnight Steel Watch is forged of stainless steel with a midnight blue face that catches the light in an interesting interplay of blue and black. It keeps impeccable time with a crystal mechanism that oscillates at 32,768 times per second.